As busy moms, students, and bloggers, we don’t have much time to browse the aisles of the grocery store figuring out what to feed our families for dinner. 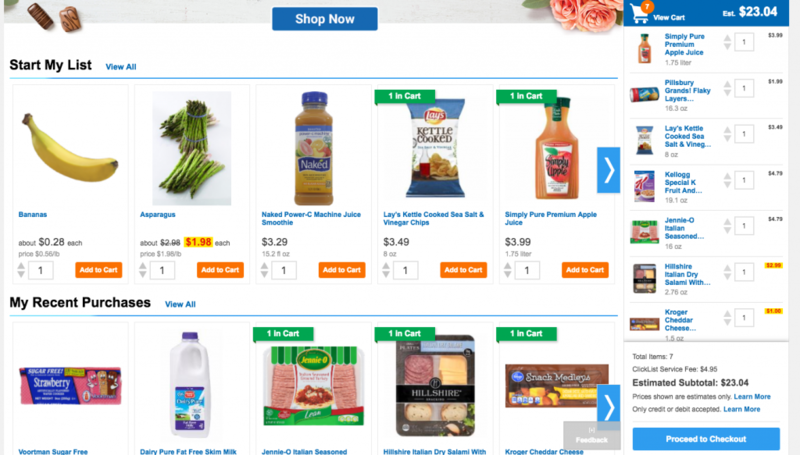 Wouldn’t it be so nice if there was somewhere you could just order all of your groceries online, with specific instructions, and pick them up in your pajamas without even getting out of the car? Well in case you haven’t heard, Kroger now offers that exact option! 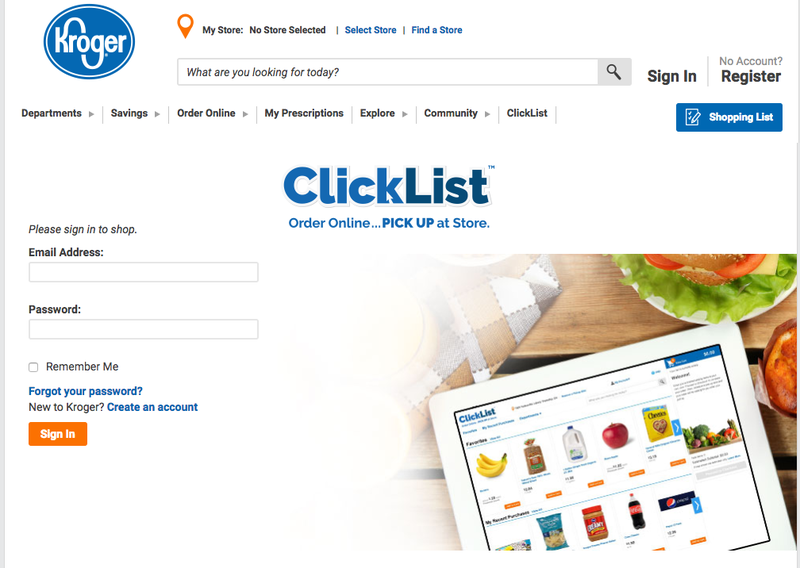 With Kroger Clicklist your grocery shopping just got a million times easier, and your sweatpants can stay on just a little bit longer! Signing up for Clicklist is completely free and takes just an email address. Sign up with your Kroger card to get extra savings and track your recent and most bought purchases, making your shopping experience a breeze. My favorite part of Clicklist is the option to customize every order. I am always super picky about all things produce, especially my bananas! For each item they allow you the option to specify exactly what you’d like. For me, that always includes green bananas, and thin slices of salmon. After picking up all my groceries I was ready to get dinner on the table! Still running short on time I decided to stick to a one pan meal to get my main dish and side dishes done while only dirtying one pan (who has time for dishes?). 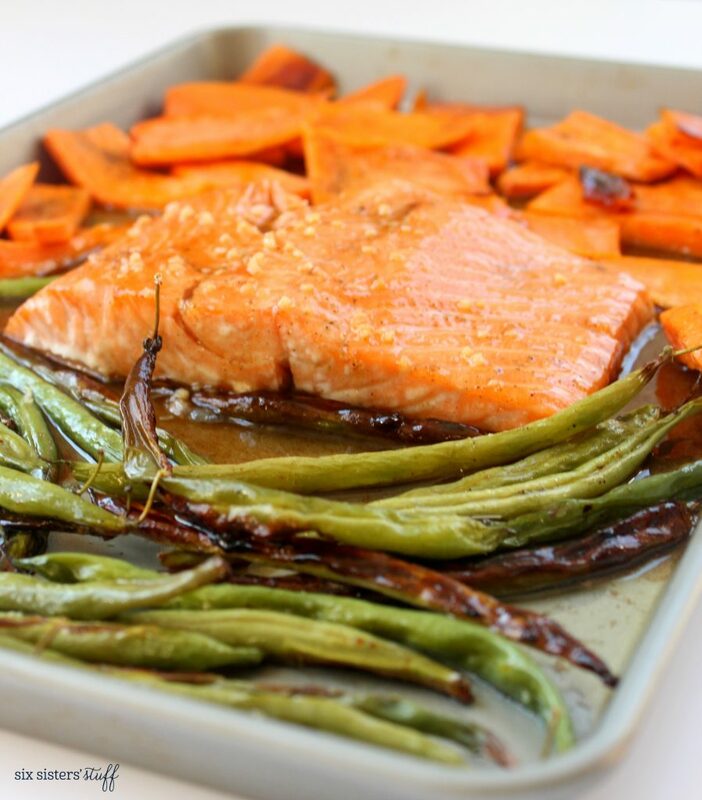 This Honey Salmon and Vegetables turned out perfect and everyone was pleased! Thanks Clicklist for making it so easy to get dinner on the table! Place salmon skin side down in the center of a lightly greased baking sheet. Season with salt and pepper and drizzle with honey. Place vegetables on both sides of the salmon. Bake for 15-20 minutes or until salmon flakes apart with a fork. 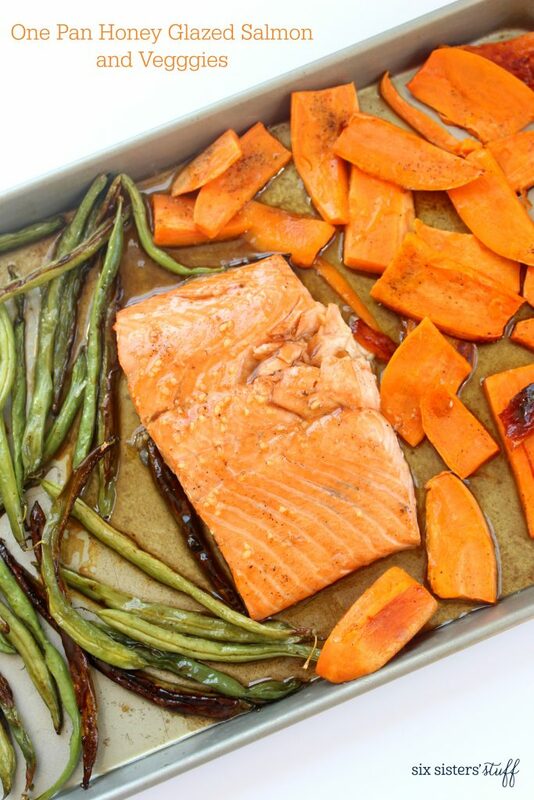 Remove salmon from pan to avoid overcooking, and place vegetables back in the oven for 8 minutes or until the vegetables are tender. While salmon is baking, melt butter over medium heat, whisking until it begins to turn golden brown. Add remaining sauce ingredients until heated through and well combined. 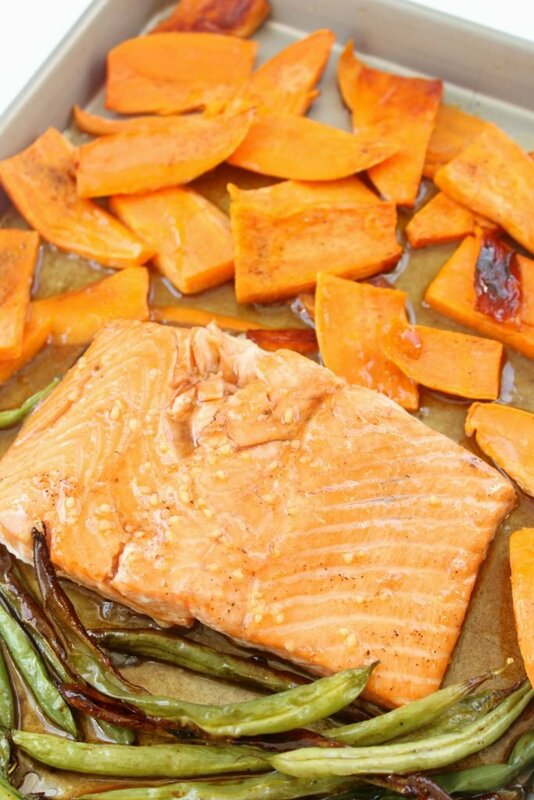 Pour sauce over cooked salmon and serve with vegetables on the side. This post was sponsored by Kroger, but all opinions are my own.